BONUS: This edition contains a The Last Time I Saw You discussion guide and an excerpt from Elizabeth Berg's Once Upon a Time, There Was You. 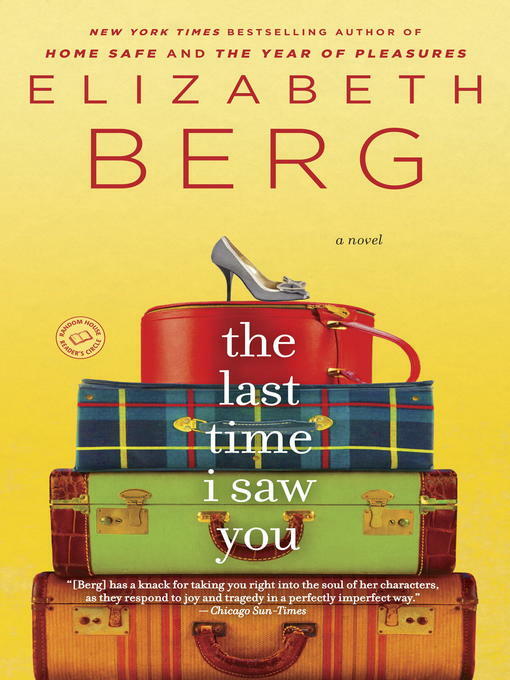 From the beloved bestselling author of Home Safe and The Year of Pleasures, comes a wonderful new novel about women and men reconnecting with one another--and themselves--at their fortieth high school reunion. To each of the men and women in The Last Time I Saw You, this reunion means something different--a last opportunity to say something long left unsaid, an escape from the bleaker realities of everyday life, a means to save a marriage on the rocks, or an opportunity to bond with a slightly estranged daughter, if only over what her mother should wear. As the onetime classmates meet up over the course of a weekend, they discover things that will irrevocably affect the rest of their lives. For newly divorced Dorothy Shauman, the reunion brings with it the possibility of finally attracting the attention of the class heartthrob, Pete Decker. For the ever self-reliant, ever left-out Mary Alice Mayhew, it's a chance to reexamine a painful past. For Lester Heseenpfeffer, a veterinarian and widower, it is the hope of talking shop with a fellow vet--or at least that's what he tells himself. For Candy Armstrong, the class beauty, it's the hope of finding friendship before it is too late.